Life is good, but do you ever get that feeling that it’s sometimes not as good as it could be? To be honest, I get it all the time. It’s like there’s something missing, but in order to obtain that missing thing I have to do something I’ve never done before. And it’s not exactly easy to get outside of a comfort zone. Well, now that The Hobbit: An Unexpected Journey has been in theaters for almost two months, I think it would be useful (and interesting) to consider those feelings discussed above and some of their possible solutions as they appear in J. R. R. Tolkien’s The Hobbit. The Original 1937 Cover. Doesn’t it look adventurous? But why? Well, even though Bilbo’s adventure certainly is an unexpected journey as the movie’s subtitle suggests, the story is a lot more than that. 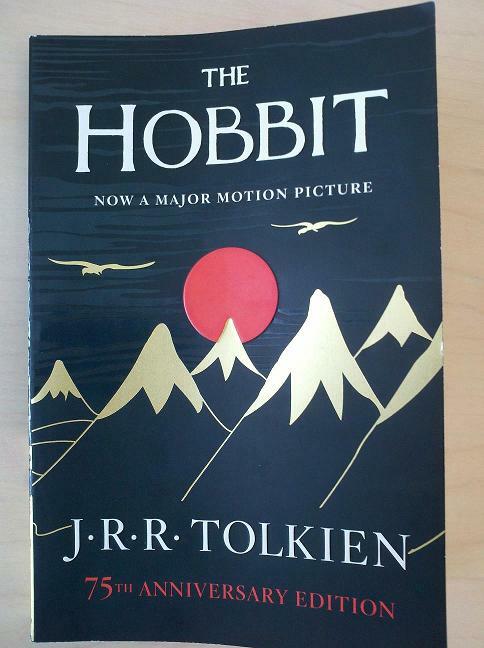 It is not just a physical journey from Bilbo’s hobbit-hole in the Shire to the Lonely Mountain and back again, but more importantly, The Hobbit is also a symbolic journey during which Bilbo becomes something better than he once was. 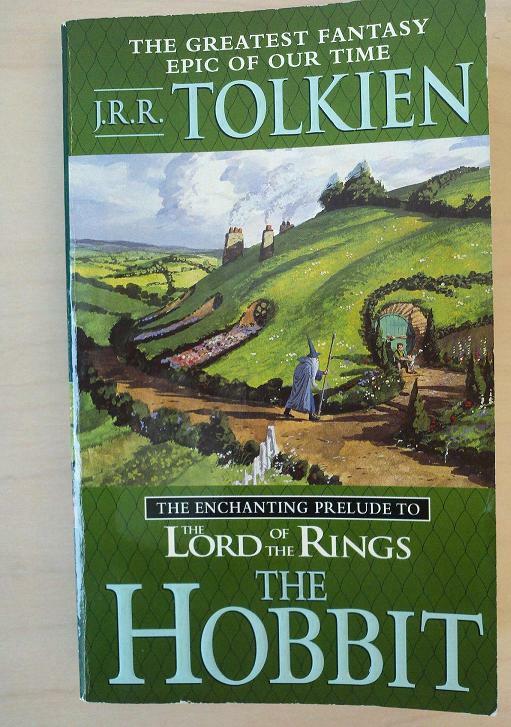 The story describes Bilbo’s change from a somewhat typical hobbit to an extraordinary one, from a being that was once content with who he was to one that, when he left his comfortable home to go on an epic quest, ended up helping those who needed help and was actually true to a part of himself that he wasn’t sure existed, a part of himself that he found only when he left his comfort zone. Bilbo’s own hobbit-hole is perhaps even more so, by hobbit standards. Besides being one of the biggest and best hobbit-holes that included a garden, Bilbo’s has things like “a perfectly round door like a porthole . . . a very comfortable tunnel without smoke . . . polished chairs, . . .” etc. (3). It was a nice home, and for a hobbit, Bilbo Baggins had the life. But, like the rest of us, to some degree Bilbo can be defined by the places in which he spends his time, and more especially so by those places in which he spends the majority of his time. Since Bilbo’s hobbit-hole is described as comfortable, perfect, and polished, we can also assume that his life was similar: it was certainly comfortable, was about as polished as it could get, and it was, in a word, perfect–as far as typical hobbits go, of course. Bilbo’s neighbors expected him to do certain things, to say certain words, and to be a certain kind of hobbit, and Bilbo accurately and consistently fulfilled those expectations. He was a “very respectable” hobbit because the Bagginses “never had any adventures or did anything unexpected” (3). This is the version I read when I was younger. That is, until along came Gandalf to tell Bilbo, “I am looking for someone to share an adventure I am arranging, and it’s very difficult to find anyone” (6). At the word difficult, it’s no wonder that Bilbo gives what we might call a typical hobbit-response: “I should think so–in these parts! We are plain quiet folk and have no use for adventures. Nasty disturbing uncomfortable things! Make you late for dinner!” (6, emphasis added). I have italicized the word uncomfortable to make obvious what seems to be an inconsistent relationship between the life of a hobbit and the having, going on, and perhaps even the very existence of adventures. Real hobbits like Bilbo don’t go on adventures or quests. They only do what is expected of them, and Bilbo would have none of Gandalf’s talk. Or so he thought. After Bilbo hopped inside to get away from Gandalf’s talk of adventures, he shut his perfectly round door, leaving Gandalf outside. In response, Gandalf lowers the tip of his staff to the door and leaves his mark on it, a mark that we’re told “made quite a dent on the beautiful door” (11). We’re obviously getting some foreshadowing here–Gandalf’s act of leaving his mark on a “perfect” door does create a dent, but the door is still functional. The door has something that it did not have before. It has the mark of someone older and wiser than the actual owner, and the mark of someone who knew the owner better than the owner knew himself (7). Bilbo’s perfect life is about to get a dent in it. But that dent is coming from someone who knows best. Bilbo does acknowledge that Gandalf knows at least as much about Bilbo as Bilbo knows about himself: when the dwarves see the mark the next day and enter Bilbo’s house for tea while Gandalf returns, steps inside, and tells the dwarves where Bilbo’s food is located, Bilbo says that Gandalf “Seems to know as much about the inside of my larders as I do myself!” (12). 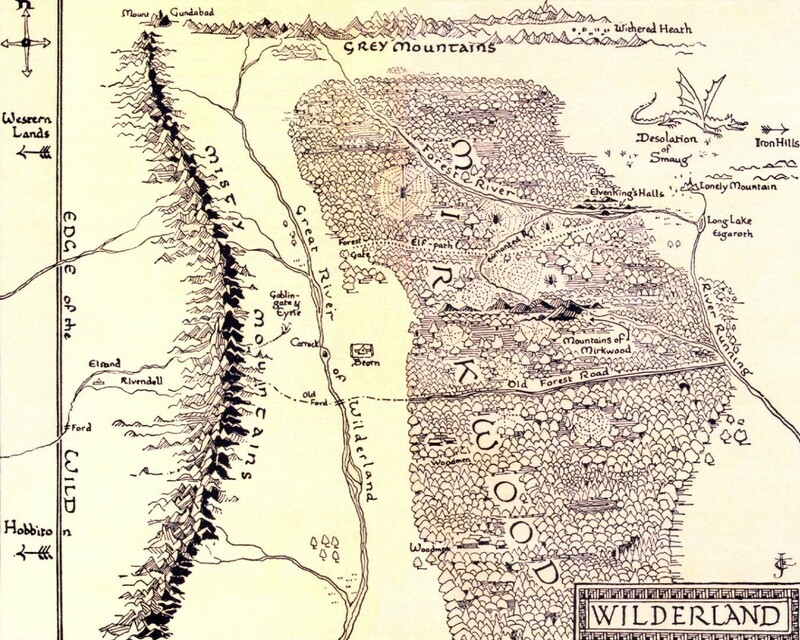 The location (Bilbo’s hobbit-hole at Bag End) and the character (Bilbo himself) can be interchangeable to some degree, and when we talk about one, we are also to some degree talking about the other. Alright. So, all the dwarves are sitting around in Bilbo’s house and Gandalf is there, too. And at first, Bilbo doesn’t want anyone there. He doesn’t even want to think about adventures or anything of the kind. He just wants to have dinner by himself. But something happens to Bilbo that wakes up a part of himself that he didn’t even know existed. Something makes him want to go on this adventure and leave his comfortable home. It looks a bit like the first edition’s cover. Suddenly, after dinner is finished, the dwarves pull out instruments. Clarinets, flutes, viols, a drum, and a harp–“It was a beautiful golden harp, and when Thorin [the leader of the dwarf company] struck it the music began all at once, so sudden and sweet that Bilbo forgot everything else, and was swept away into dark lands under strange moons, far over The Water and very far from his hobbit-hole under The Hill” (14), the author tells us. Then the dwarves sing. They sing about their past and their ancestors. They sing about adventure, their once-powerful race, and its fall from greatness. They sing of the current, sorrowful state of their people. And they sing of their desire to restore that which was lost. Note that music, poetry and stories do something to Bilbo. They influence him, and the songs that were sung in his hobbit-hole that evening gave Bilbo a “love of beautiful things” (16), and a desire to act, a desire to change: “Then something . 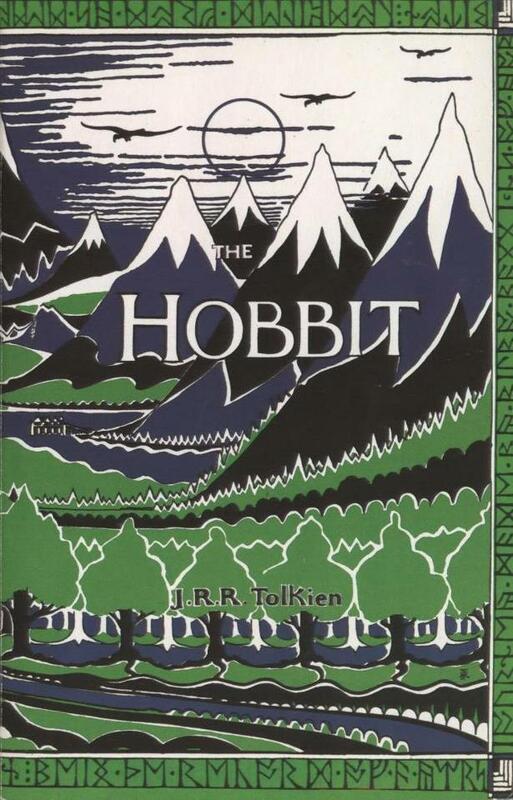 . . woke up inside of [Bilbo], and he wished to go and see the great mountains, and hear the pine-trees and the waterfalls, and explore the caves, and wear a sword instead of a walking-stick” (16). This statement gives us evidence that, to some degree, Bilbo wasn’t completely true to himself. He was living a life in which he was content, but there was, however, something inside of him that desired adventure, something that he had stifled and choked until it had fallen asleep, and something that had woken up when Bilbo was moved by the song of the dwarves. And when that something woke up inside of him, Bilbo began to distinguish who he thought he was with who he really was. He began to realize that there was a part of himself that was hungry and needed nourishment. Was he merely a hobbit that would just sit around and be comfortable? No, that was only part of it. His adventurous, Tookish part desired more. It desired to do something in the world. Of course, this desire of Bilbo’s doesn’t always stay with him. It keeps coming and going, and it does so because he hasn’t been nurturing it. For so long, Bilbo had kept the desire for adventure underground, and it will take him some practice to finally keep that desire constantly. Even good desires come and go. They do so because they haven’t yet been cultivated, and it will take a long time for Bilbo to become comfortable with the adventurous and Tookish part of himself. Back in the hobbit-hole, the dwarves aren’t yet convinced. They don’t know who this guy is or how he will be useful for their adventure. They’re worried that he’ll just take up space, make things inconvenient, and eat all the food. They’re reluctant to let him come along with them, at least until Gandalf makes this profound statement: “I have chosen Mr. Baggins and that ought to be enough for all of you . . . There is a lot more in him than you guess, and a deal more than he has any idea of himself” (19). No, Bilbo certainly isn’t the same when he returns. But since I realize that some people haven’t read the book, perhaps I’ll save what I have to say about the story’s ending until the third movie comes out. Let me at least say the obvious, that Bilbo ends up better than he was when he left. And it is always interesting to me to note that, before he left, he thought that he didn’t need a adventure. After all, adventures are just “Nasty, uncomfortable things” that “Make you late for dinner!” and for a hobbit, dinner is everything (it’s an ultimate term)–and no rational hobbit would ever want to be late for dinner, let alone go without it, as Bilbo often does during his quest with the dwarves. But when Bilbo gained a love for more beautiful things, his vision and perspective were expanded, and he was motivated to forget about things like being late for dinner. I think this is what happens to Bilbo during his unexpected journey. He comes to realize that the comfortable customs around him, while nice, weren’t always the best, and there was something more to who he was than what he had become. I found this image on http://ldsw.webs.com/. Wow Jarron that is cool. I've loved the Hobbit since I read it the first time 10 years ago, bet I never thought there was anything applicable in there for me. What you wrote reminds me of Peter Pan, and how the children choose to leave the nursery for the sake of adventure, just like Bilbo. I can't wait to see where you'll choose for YOUR next adventure!